High 5 Moment: High 5 Casino’s September 2018 Stats! Fall in love with the HIGH 5 MOMENTS from September! Besides welcoming in the Autumn season, High 5 Casino also welcomed in FOUR new games! As of September, High 5 Casino has released 273 slot games. Moon Warriors: Celestial Treasures, Shadow Diamond: Noir, Princess Romanov, and Beer Barrel Bash can all be found in your casino lobby today! Besides new games and their XP weekend events, High 5-ers had a lot to celebrate for in September! The biggest celebration to ring in the month was High 5 Casino’s SIX-TACULAR Anniversary event! Starting on September 2nd to September 5th, High 5 Casino kicked off the anniversary celebration early by inviting players to participate in an in-app offer to receive SIX days of free gift giveaways! These gifts included bonus coins, Player Level XP boost, XP events, and ended with a final celebration of a 6XP boost on SIX games for SIX hours! All other players received a 2XP boost on those SIX games on H5C’s birthday. Players also celebrated Labor Day, International Talk Like A Pirate Day, the First Day of Autumn, and Native American Day with 3XP and 5XP in selected themed games! 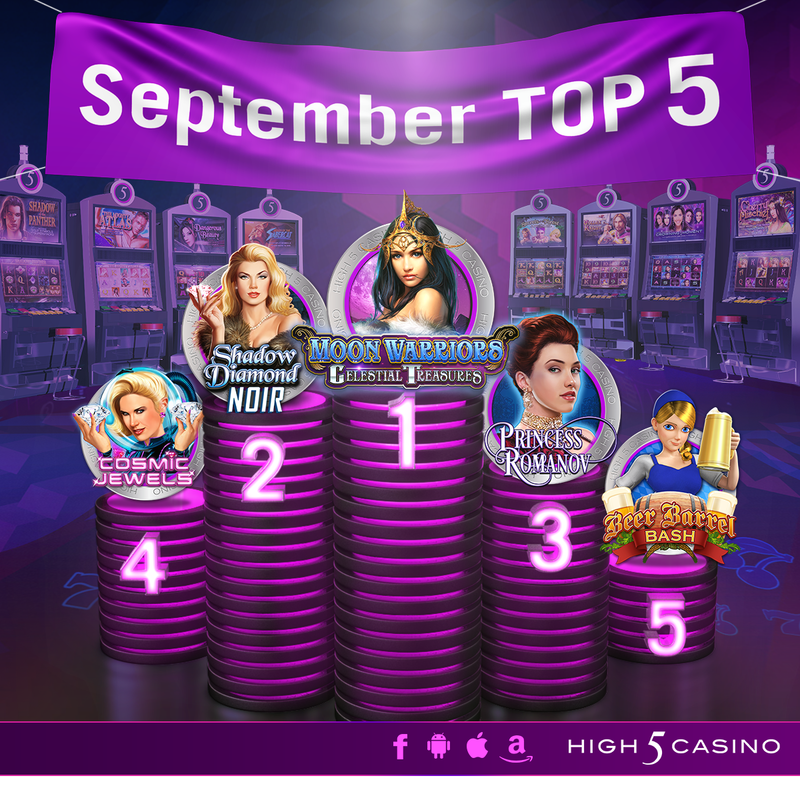 The month also brought players exciting new ways to enjoy High 5 Casino with brand new app features this month! The H5C lobby slot has been upgraded, now including rewards that are five times larger than before! 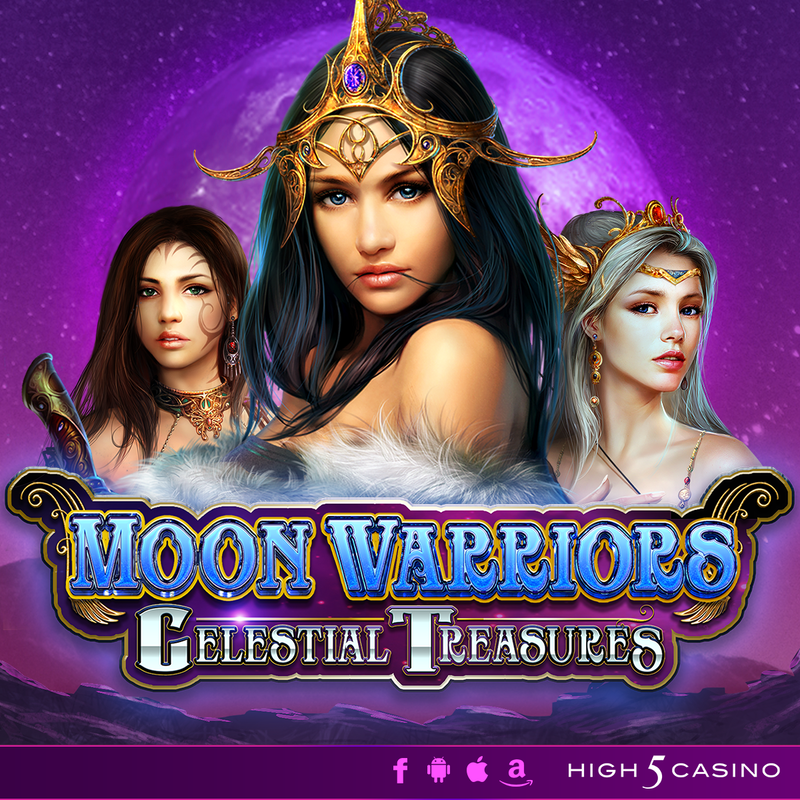 H5C also introduced larger bet options, featured in H5C’s 270th game, Moon Warriors: Celestial Treasures. Now, players will be able to bet even higher for a chance to win bigger! We invite all players to play High 5 Casino on mobile or in the Facebook Gameroom to receive new game releases one day earlier than everyone else will! Mobile and Gameroom players enjoyed the first-ever early access with H5C’s 272nd game, Princess Romanov. These same players will also receive a coin reward for playing on one of these apps daily as well as exclusive Coin Store deals! Download the High 5 Casino app onto your iOS, Android, or Amazon device 📱; or download the Facebook Gameroom on your computer desktop! Which game gave you your High 5 Moment in September? What did you enjoy most about High 5 Casino last month? Comment in the conversation bubble located on the top right corner of your screen and let us know!